Team Daniella’s Childhood Cancer Foundation is proud to say that we have been able to financially help all the children who have had or are still battling childhood cancer. These are the faces and words of these children. They will forever be our heroes and inspire us to continue to work to find a cure. Sebastian is an amazing superhero! He was born in Venezuela and as always been a happy and cheerful kid. He was diagnosed with Leukemia when he was only 7 years old and traveled to the United States for treatments and medical assistance. He underwent a Bone Marrow Transplant back in November 2016 and he currently relapsed and receiving chemo treatment at the present time. 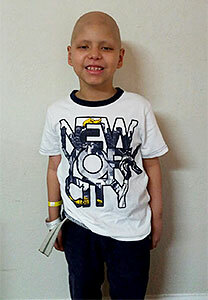 Luis was diagnosed when he was 16 years old with All (Acute Lymphoblastic Leukemia) in his home country of Venezuela. Due to the medical/social/political instability of his country, doctors in Venezuela advised his mother to seek treatment outside of Venezuela. The family traveled to South Florida to receives better treatments for Luis. 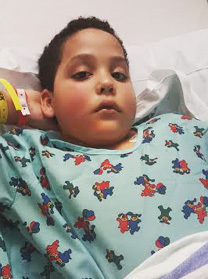 Luis was immediately hospitalized and after confirmatory tests, was enrolled in a chemo treatment protocol. Our organization step in to help the family with everything they needed. Ignacio is 3 years old with Medulloblastoma but it hasn't stopped him from being a child. He is currently receiving physical and occasional therapy thanks to all donations made to our organization that mind it possible. 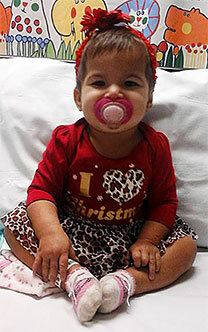 Yaneisy was 13 months old when she was diagnosed with bilateral retinoblastoma she is being treated at Nicklaus Children's Hospital in Miami, Fl. Her left eye is being treated with laser. 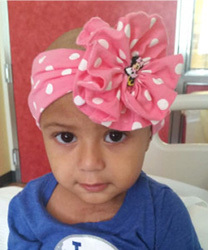 She is a happy and playful child and reminds stage with her treatments. Giselle was diagnosed with Hepatoblastoma on August 11,2015 and is currently undergoing treatment, which consists mainly of chemotherapy. She is doing well and continues her fight. She loves Elsa and Anna from the movie Frozen. Luciana is the sweetest little girl that you would ever meet. She loves the Disney princesses and is a big Elsa and Anna fan from the movie Frozen! 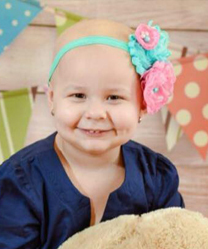 Luciana was diagnosed with Acute Lymphoblastic Leukemia at just 18 months and relapsed January of 2016. She is awaiting to go in for a bone marrow transplant. 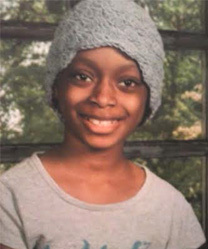 Asiana was diagnosed with Glioblastoma Multiforrne on June 19, 2013. After surgery, she went through 42 days of radiation and then started chemotherapy in September 2013. She has had ups and downs with the treatment but continues to fight. She loves school as well as her 3 siblings. Jacksua is an 8 year old boy, previously healthy up until one month ago when he started developing medical symptoms that led mom taking him to his pediatrician, having the patient admitted to two different hospitals and finally, being transferred to Jackson Memorial Holt’z Children’s Hospital where the diagnosis of Acute Lymphoblasic Leukemia (ALL) was made. Jacksua had an older brother and both are very close. 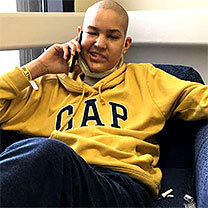 Maria Aranda Tinoco is an 18 year old teenager with a history of Acute Lymphoblastic Leukemia. Maria is from Peru and both she and her mom, Delia Tinoco, were sent here by the Peruvian government for a bone marrow transplant, which Maria received back in June 18th of last year. 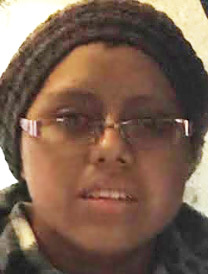 Maria’s wish was to have an Apple iPad and Team Daniella’s Foundation granted her wish.